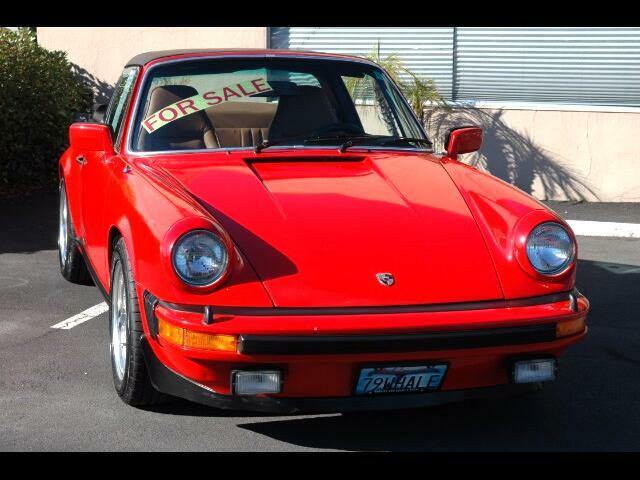 This 1979 Porsche Targa S/C is a very nice example of a vintage Porsche 911. The current owner, and a long standing PCA member, has owned it since 2004 and commissioned Hi Tec Automotive to make it a very nice 911 with the emphasis on performance. in June of 2011 the engine was completely torn down and inspected, it was then determined to completely rebuild it using a new crankshaft, Mahle forged pistons, Raceware head studs, new 964 camshafts and all associated parts to complete the rebuild. The heads were removed and machined to be in tolerance of the new pistons. Displacement is now at 3.2 liters. It was also determined to rebuild the transmission and install a new clutch. The interior was completely redone with the addition of removing the rear seats and creating a custom rear shelf. A 930 S steering wheel was also added. To enhance performance a two point strut brace was installed tying in the rollbar to the floor pan and a four point strut brace was installed tying in the front shock towers giving more structural rigidity to the Targa. A set of period correct ARE wheels round out the look and handling of the 911. The car starts immediately with the turn of the key. Throttle response and torque is crisp and quick. The raspy sound of the exhaust begs the driver to find any reason to make its way to the coast and back. Message: Thought you might be interested in this 1979 Porsche 911.